In addition to a full inventory of building materials, Bullock Lumber Company offers a variety of tools and contractors' gear for sale. Stop in today to see our selection. 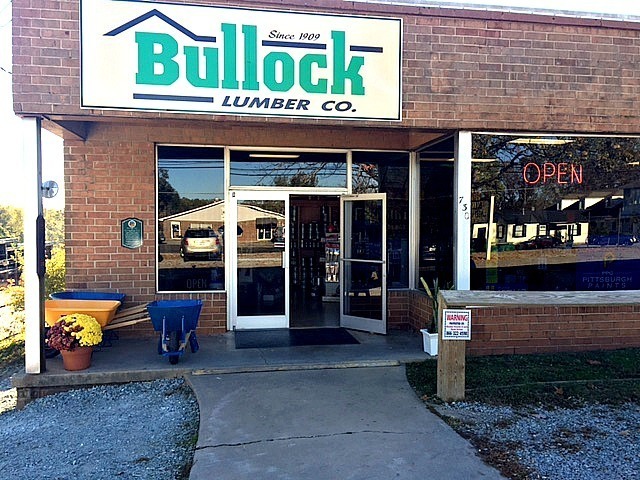 At Bullock Lumber Company, we have a full inventory of the highest quality lumber for every building project. We are pleased to supply over 15 vendor products. We are happy to deliver your building materials to your construction project location. Delivery is available throughout Person County and the surrounding areas. For over 100 years, Bullock Lumber Company has been your locally owned and operated hometown lumber and supply company. We carry a full inventory of the highest quality lumber, building materials, and contractor supplies. Our in stock lumber products start at 2 feet and range up to 12 feet in length. Bullock Lumber Company, Inc. is a proud supplier of a variety of building materials to help provide profit for contractors with high quality and affordable lumber and building products. Bullock Lumber Company is also open to the public for the smallest project to the largest DIY home remodel. With countless projects ranging from small to complex, we have been a leading supplier in the community for many generations. If we do not have it in stock, we will be happy to special order it for you! In addition to being a lumber and building material supplier, Bullock Lumber Company also has a wide variety of tools and contractors' gear in stock for purchase. When you break your skill saw on a job, rest assured you can get the replacement at our location. Bullock Lumber Company, Inc. delivers sound value and peace of mind when you are preparing for all kinds of construction projects. We offer convenient delivery service to Person County and the surrounding areas. Call us today to make us a part of your next construction project! Bullock Lumber Company, Inc. is a proud supplier of a variety of building materials to help provide profit for contractors with high quality and affordable lumber and building products. Bullock Lumber Company is also open to the public for the smallest project to the largest DIY home remodel. Copyright ©2019 BULLOCK LUMBER COMPANY INC. All Rights Reserved.